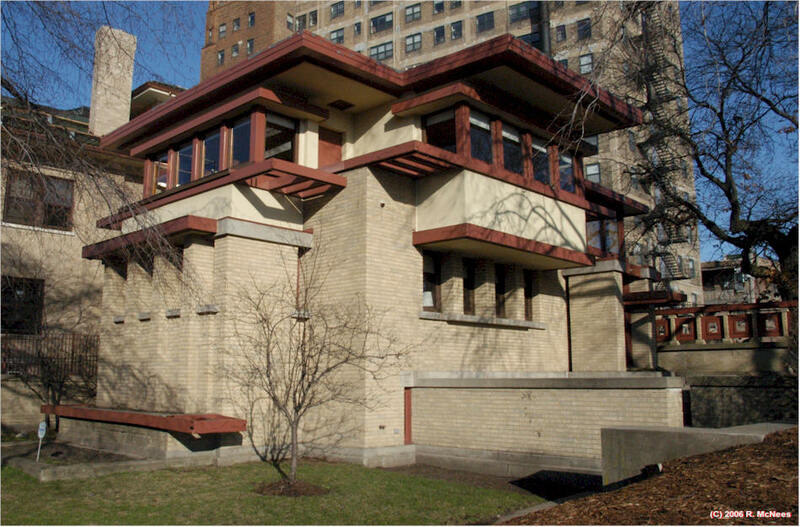 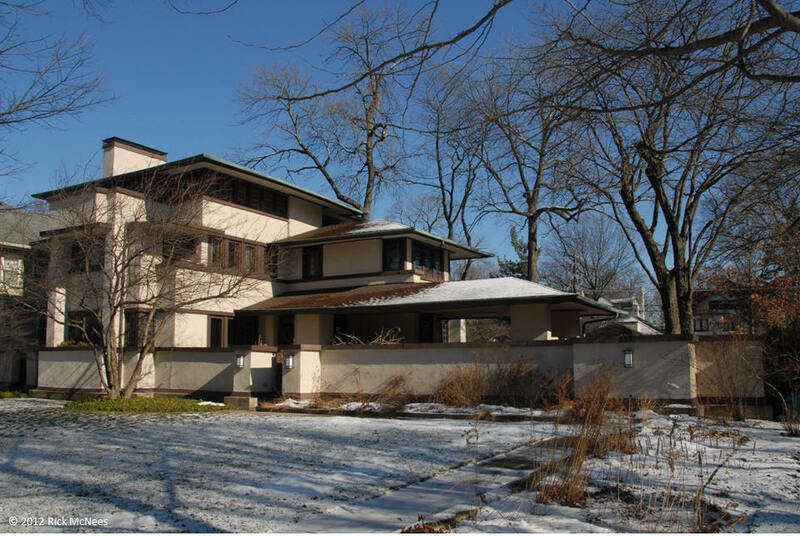 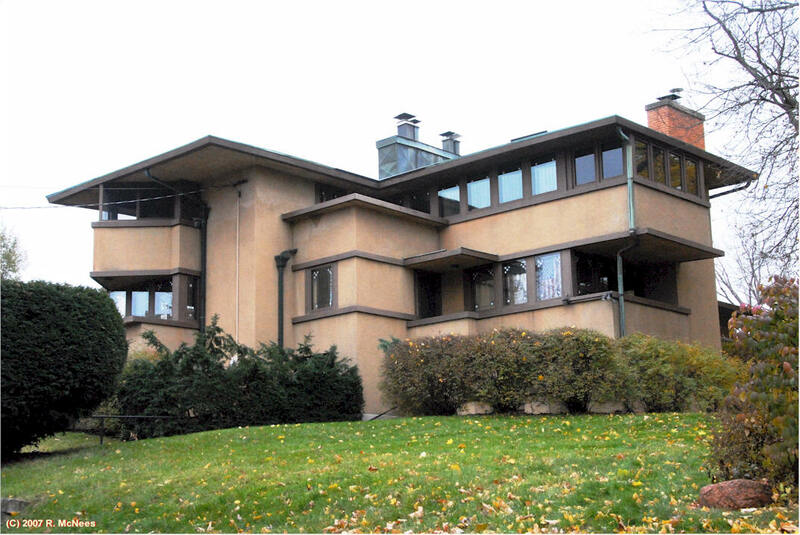 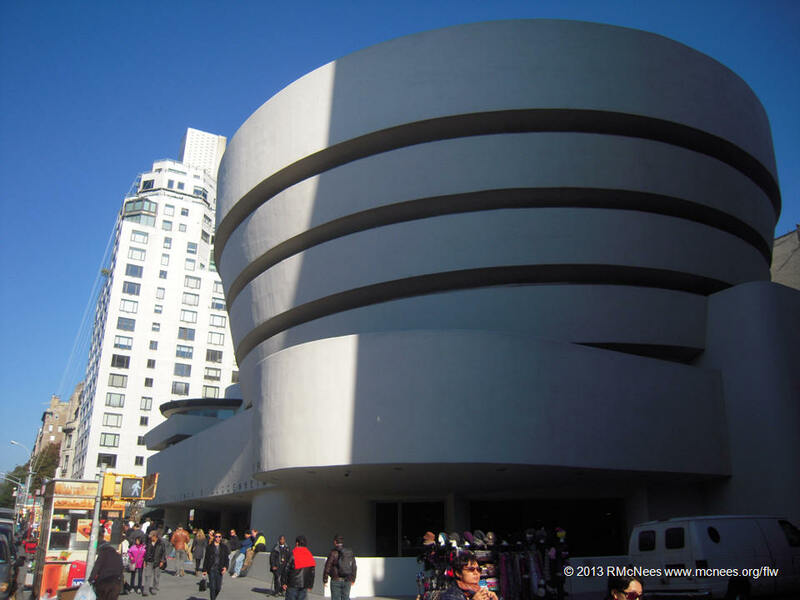 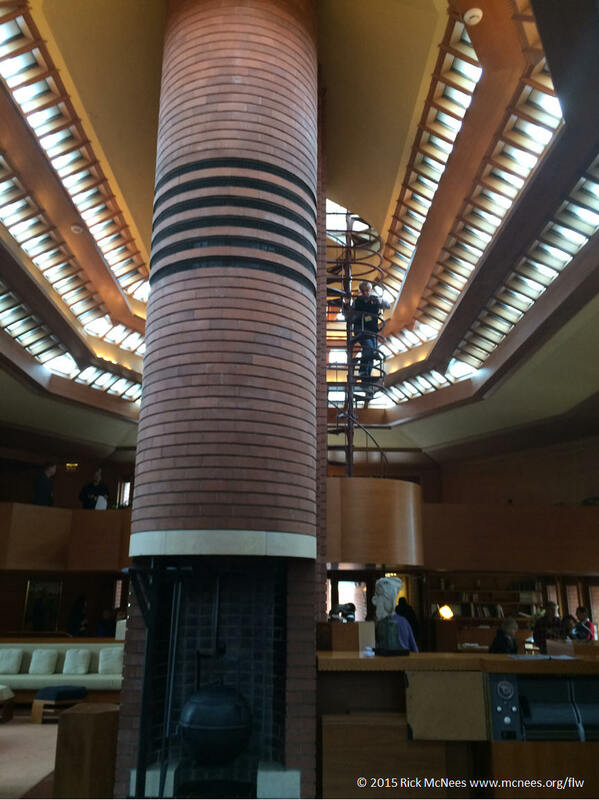 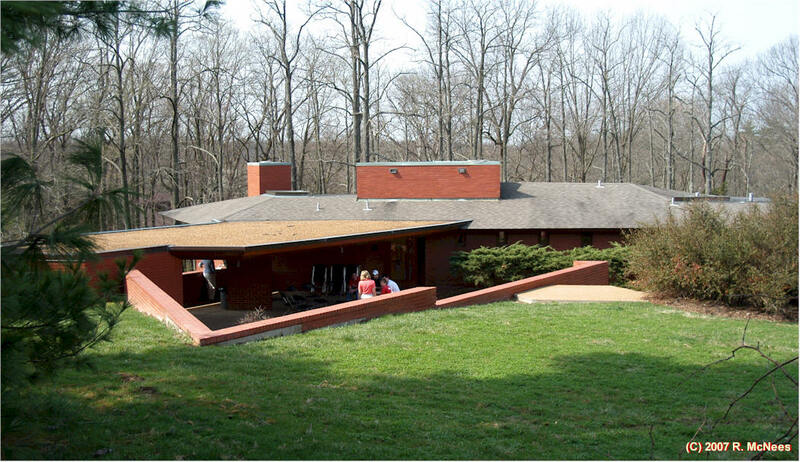 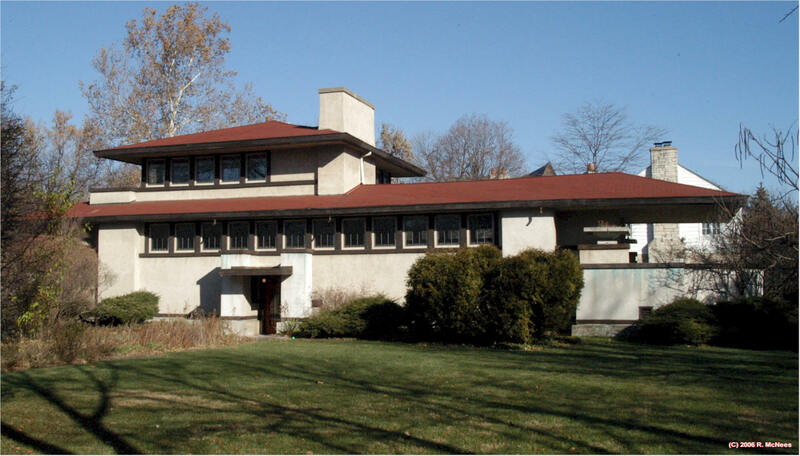 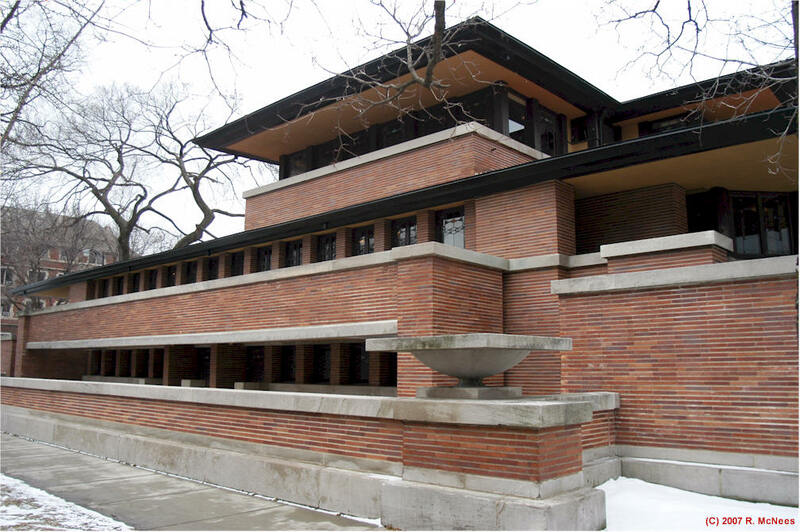 Highlights of Frank Lloyd Wright (and contemporaries') architecture on Rick's Wright-Site (TM). 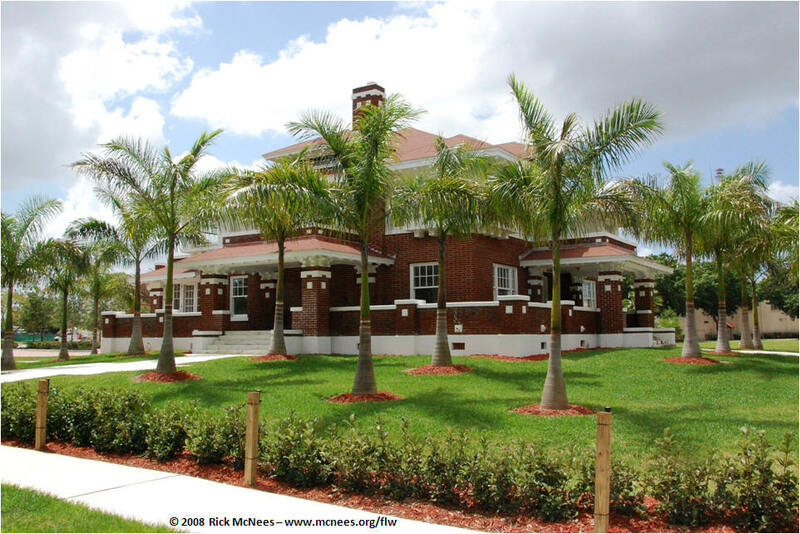 Visit the site pages above for more details and selections. 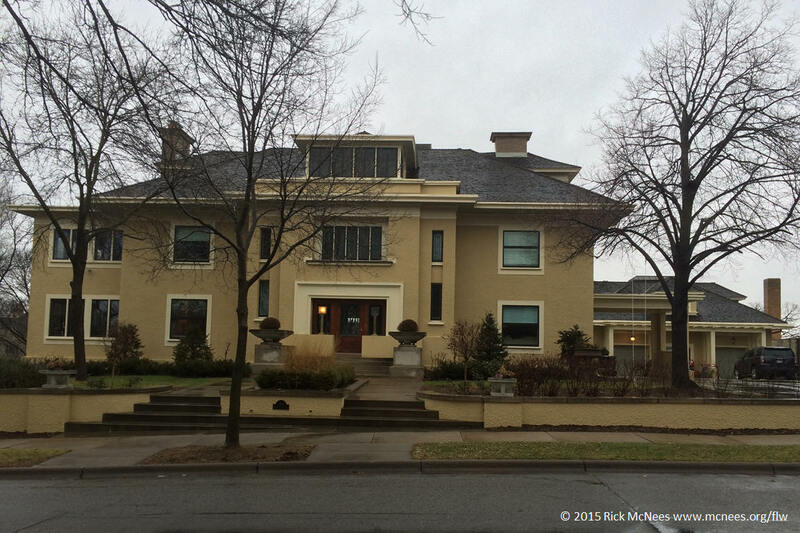 All Photos by Rick McNees. 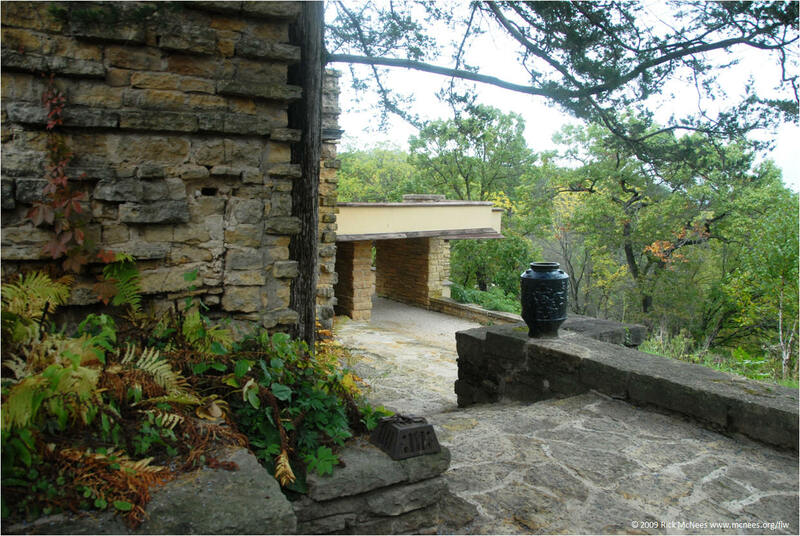 See Index of Prairie Sites for a complete list of properties featured on this site. 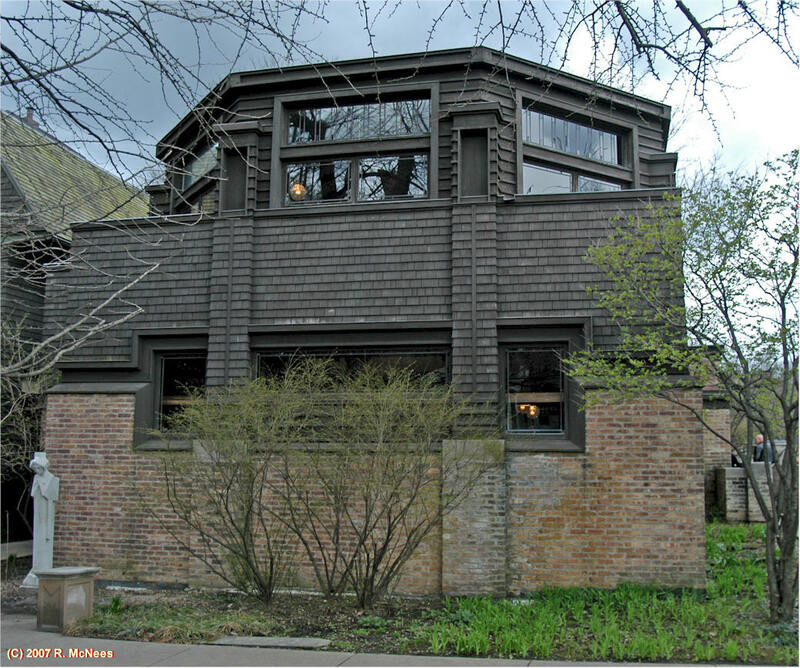 Click for Rick's Prairie School Architecture in Champaign, Illinois pics. 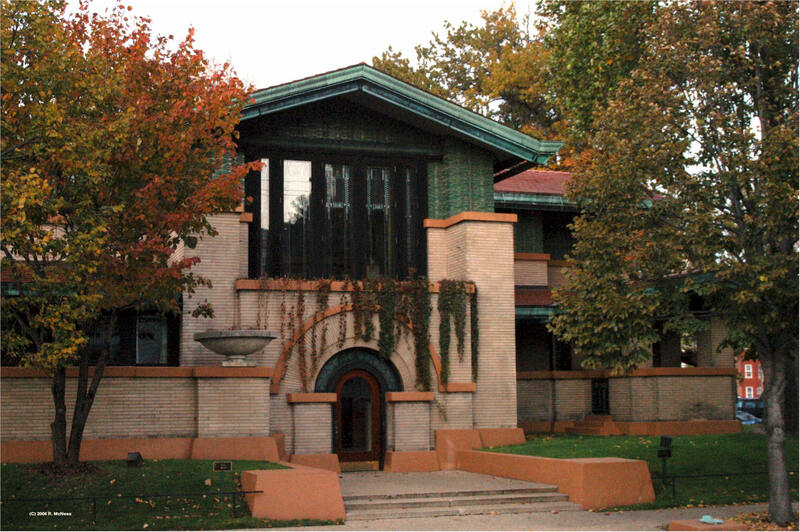 Click for Rick's Prairie School Architecture in Decatur, Illinois pics. 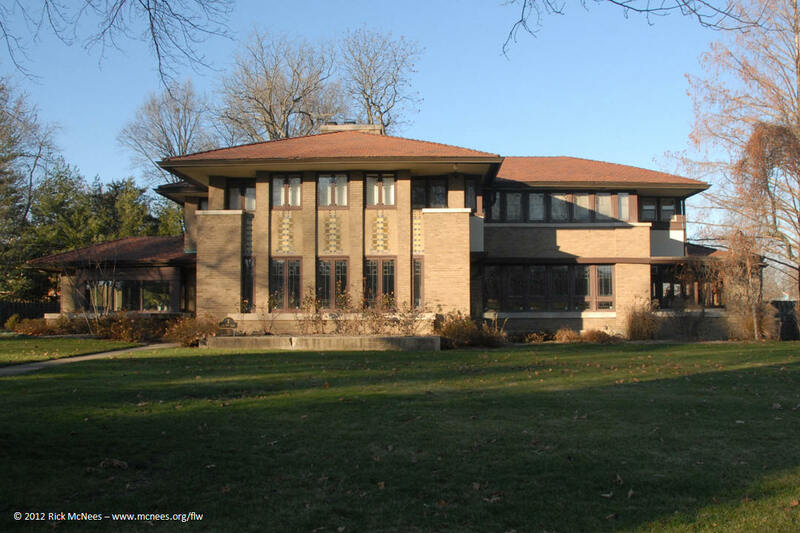 Click here for Rick's Prairie School Architecture pics of Elmhurst, Illinois . 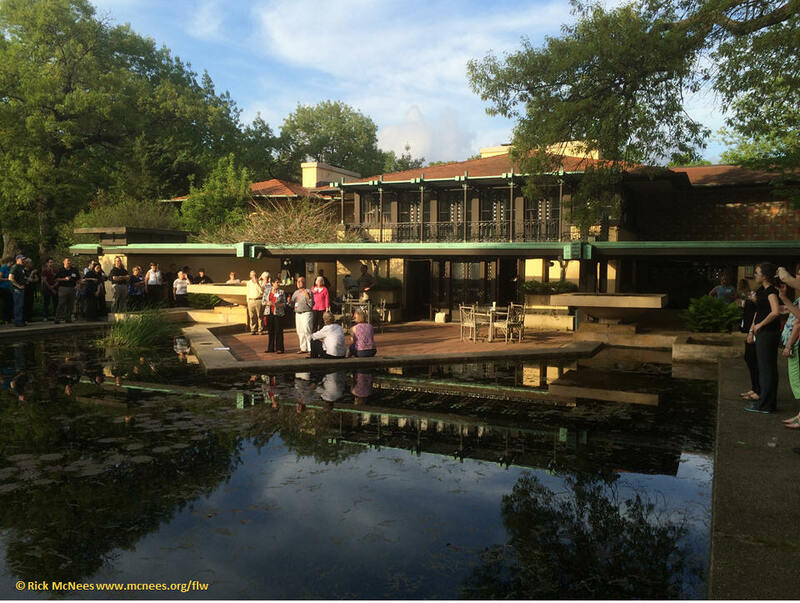 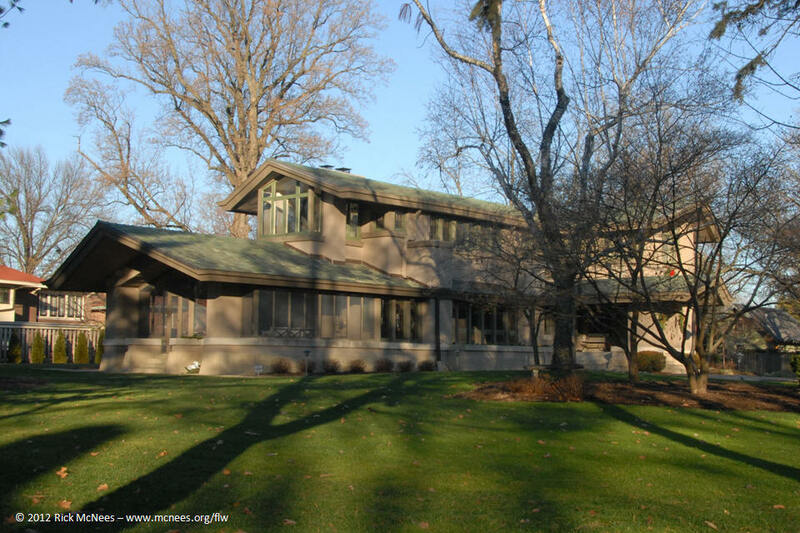 Click here for Rick's Prairie School-style architecture pics of Naperville, Illinois. 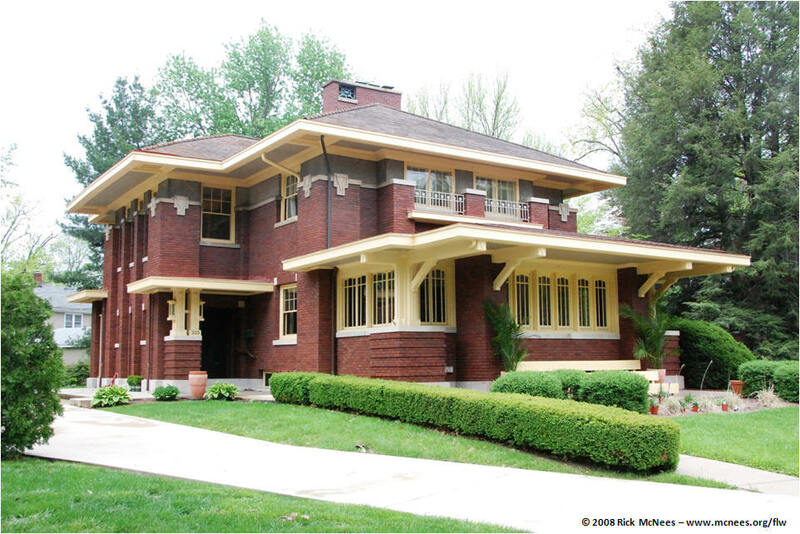 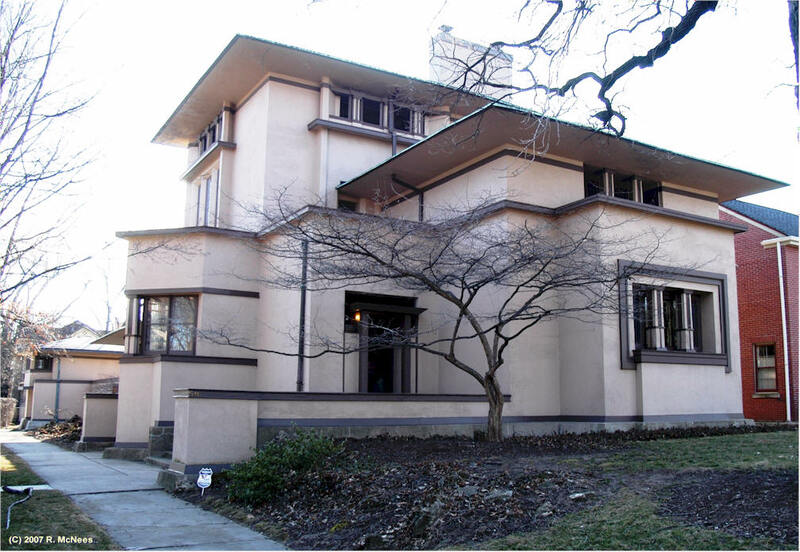 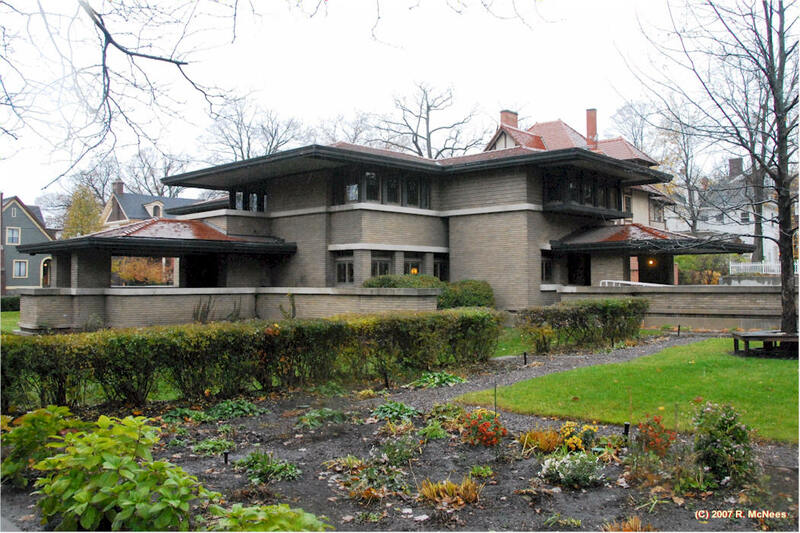 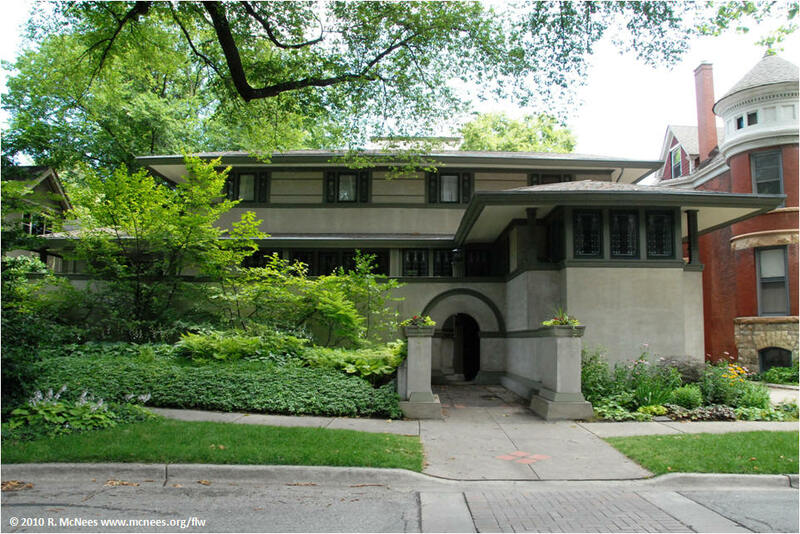 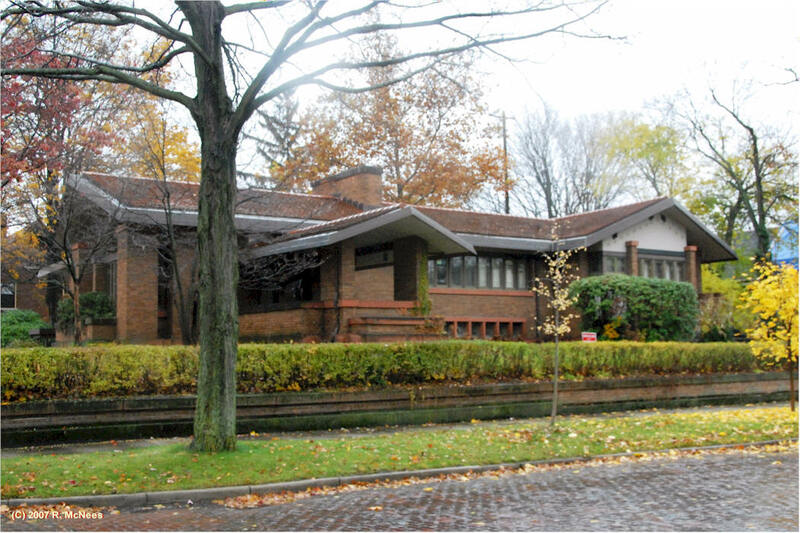 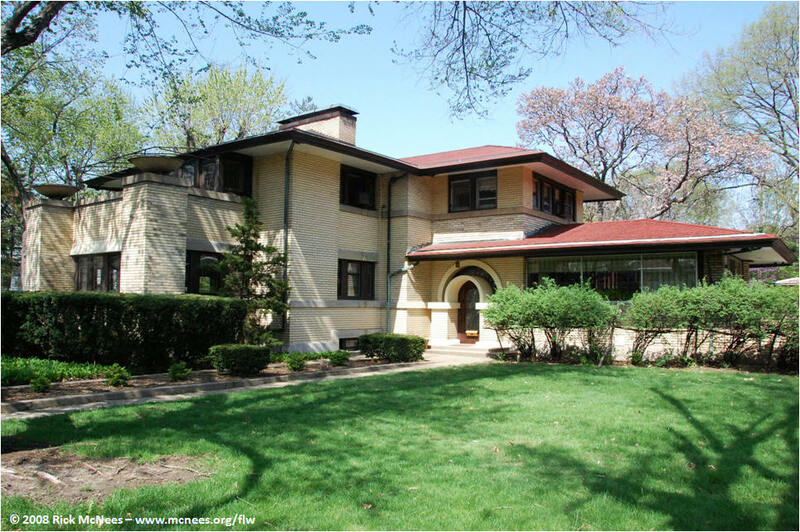 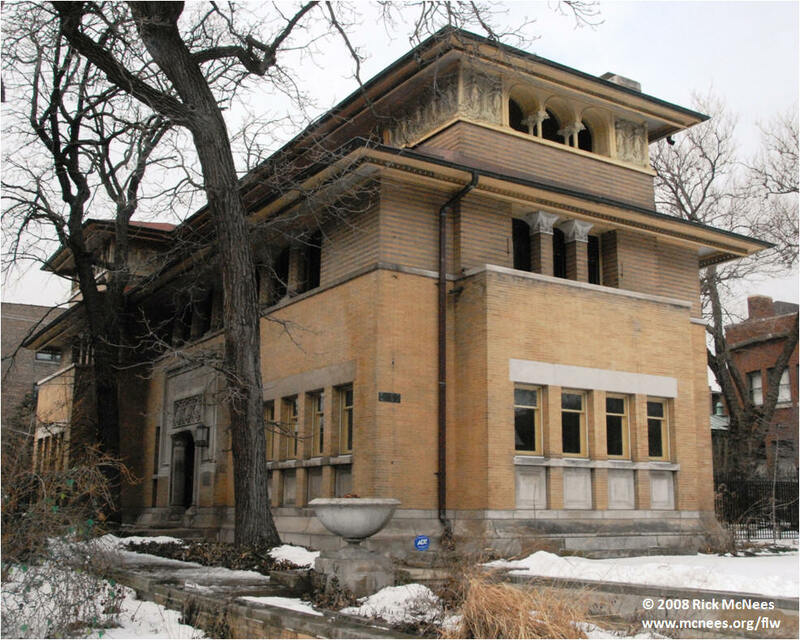 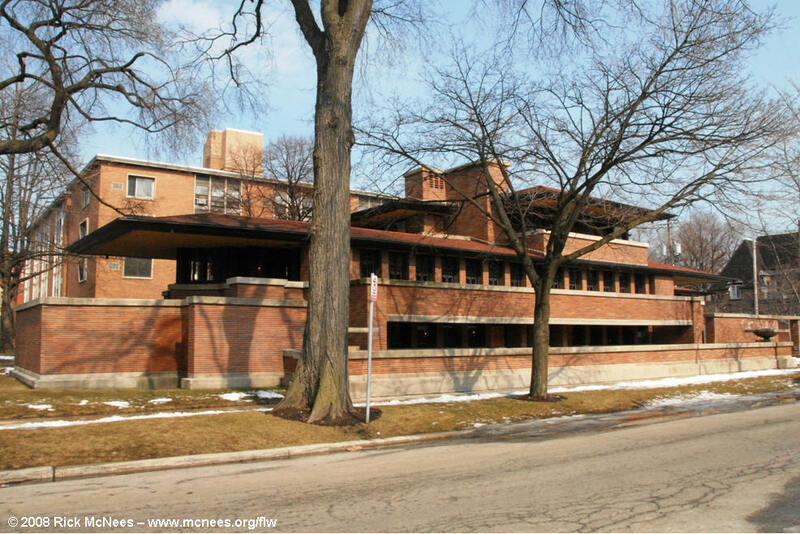 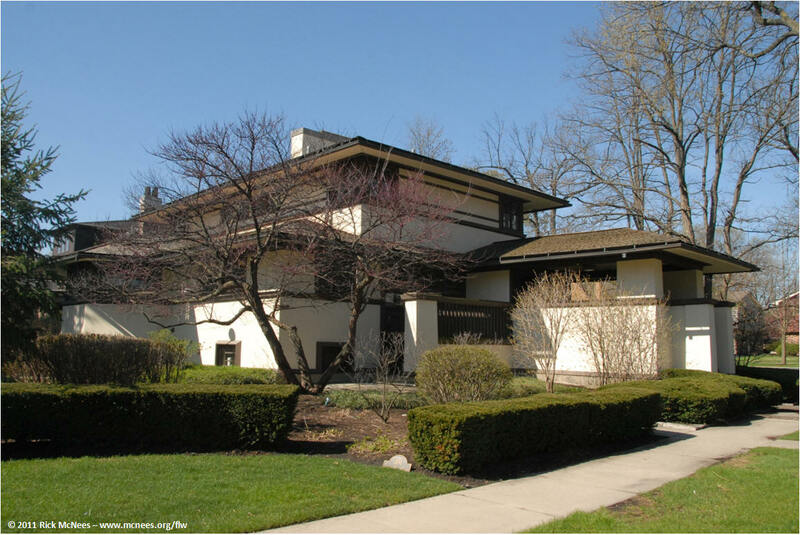 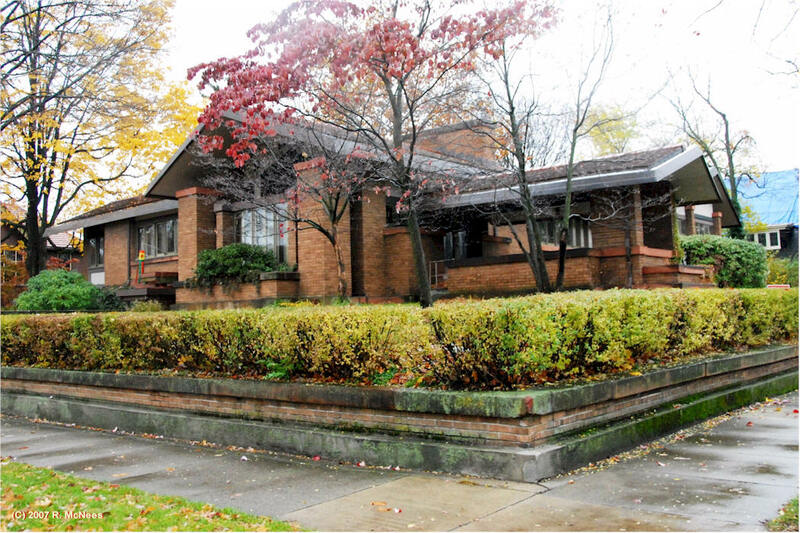 Click here for Rick's Prairie School-style architecture pics of Oak Park, Illinois. 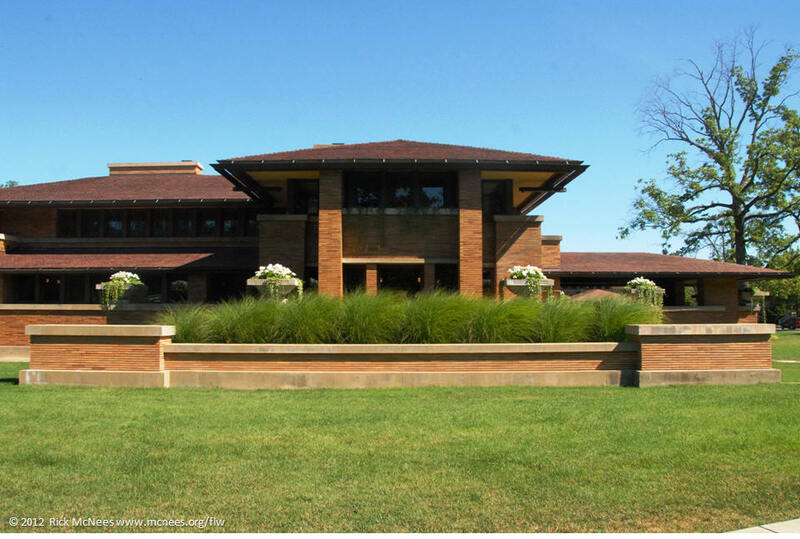 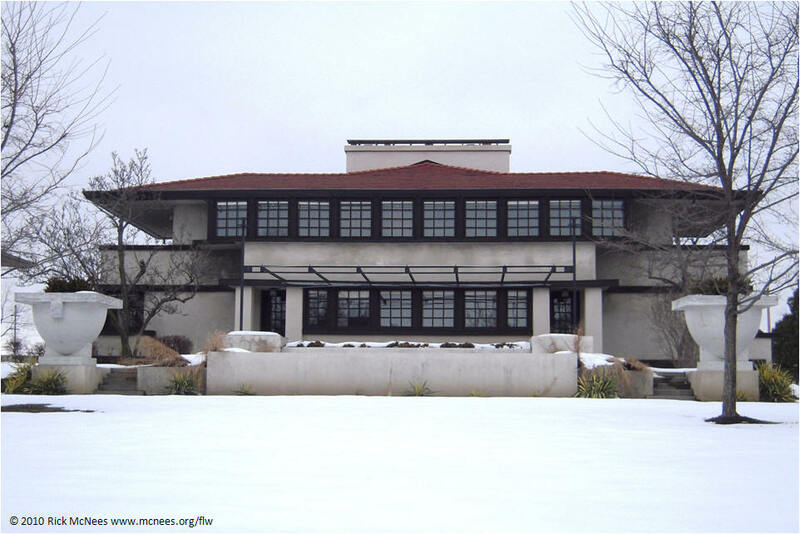 Click for Rick's Prairie School Architecture pics in Springfield, Illinois. 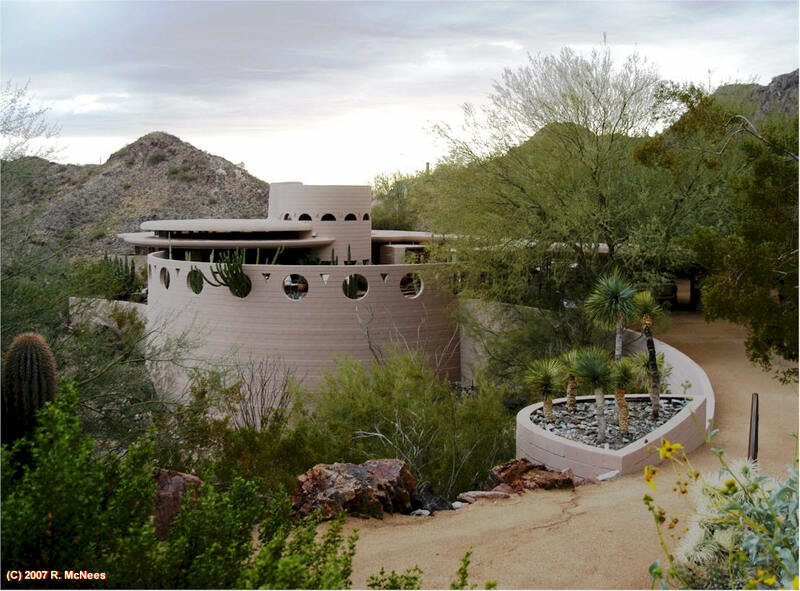 The clubhouse at this posh, two-course club near Wailea was based on a luxury home design originally drafted by Frank Lloyd Wright in 1949 for another client and revised in 1957 for Marilyn Monroe and her then-husband, playwright Arthur Miler. 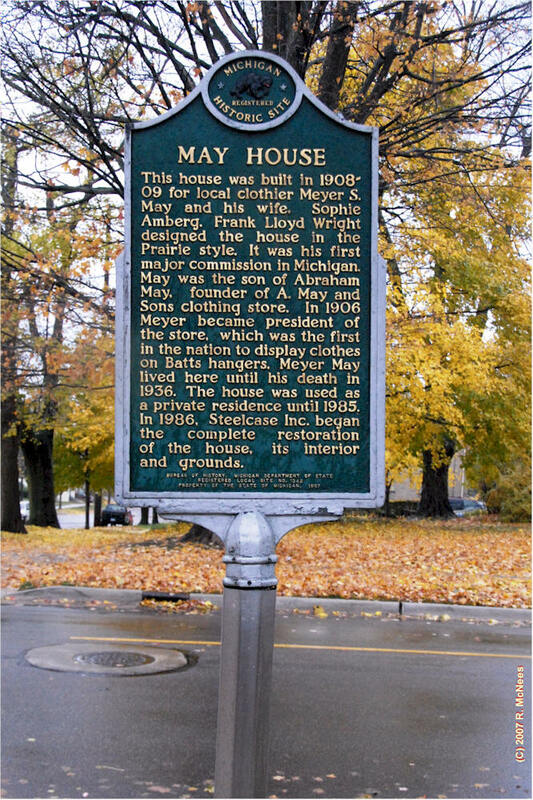 The project died after their marriage went down in flames. 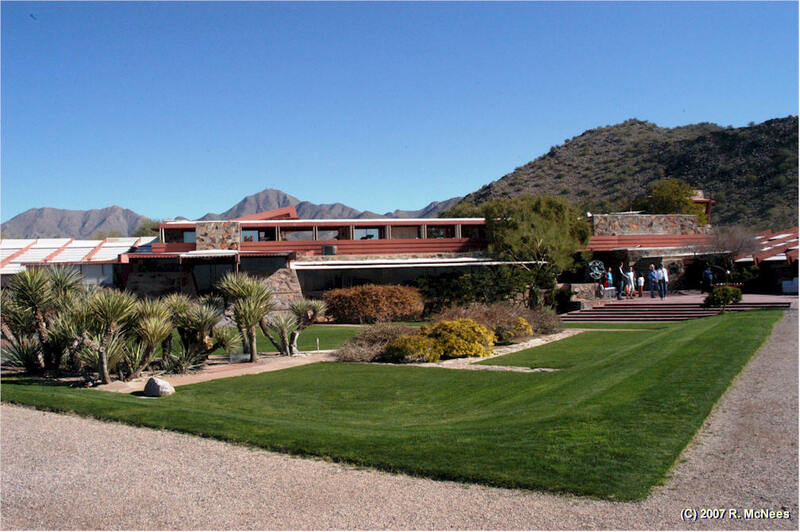 The design languished until a group of Japanese investors contracted with Taliesin West, the architectural studio that FLW founded for the design right. 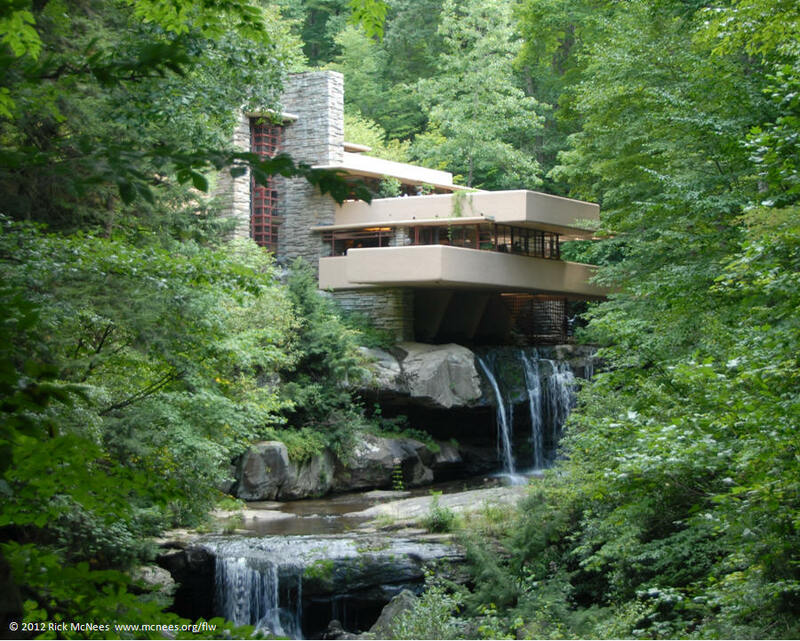 It cost $27 million to complete and was finished in 1993 but has been closed to the public when the original club closed. 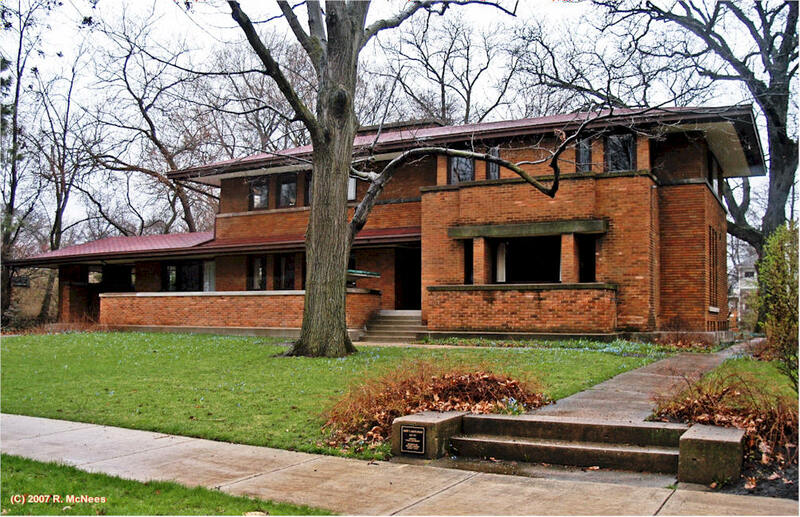 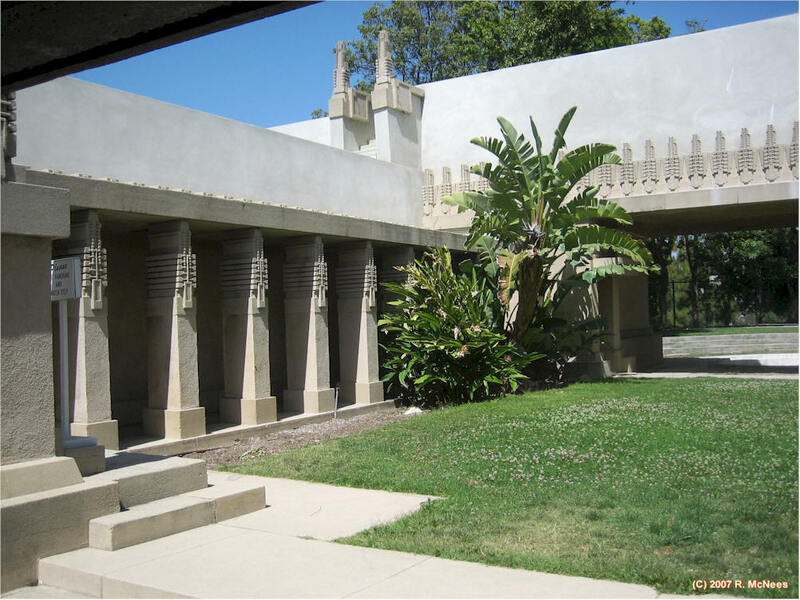 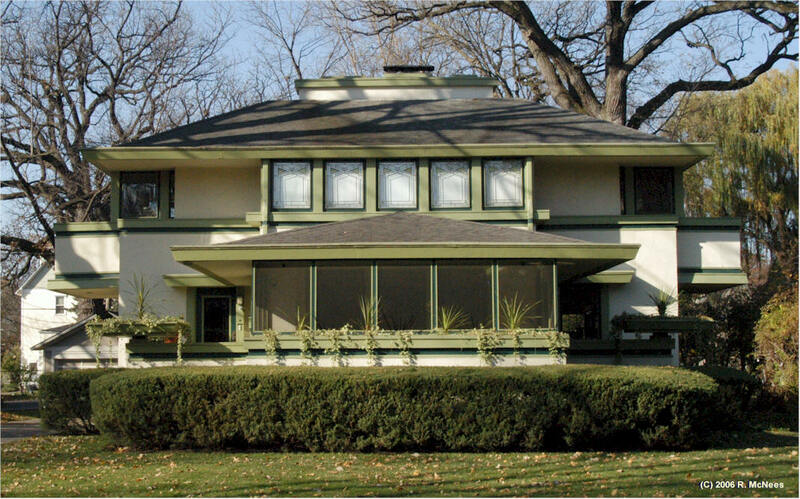 According to the new owners' website, Frank Lloyd Wright, drew the original plans in 1949 as a concept for a 7,000 sq. 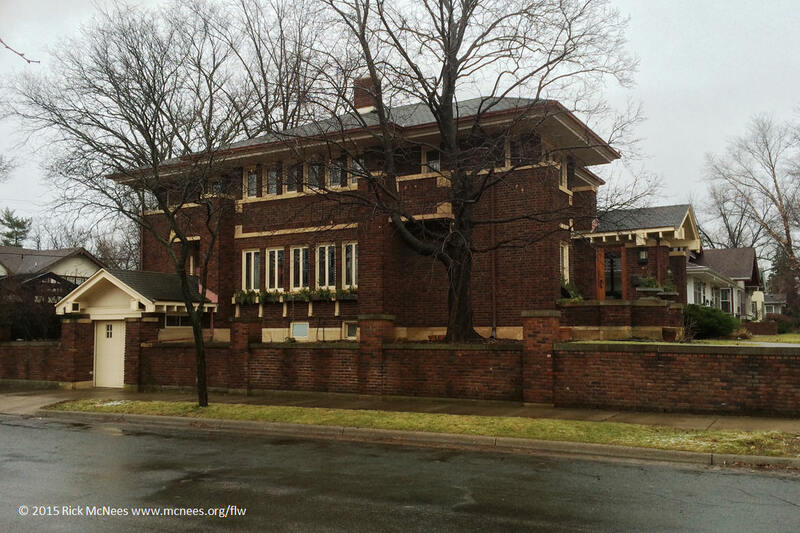 ft. luxury home in Fort Worth, Texas. However, the plans were never used until 1988 that the archived plans were enlarged and adapted to build the 74,000 sq. 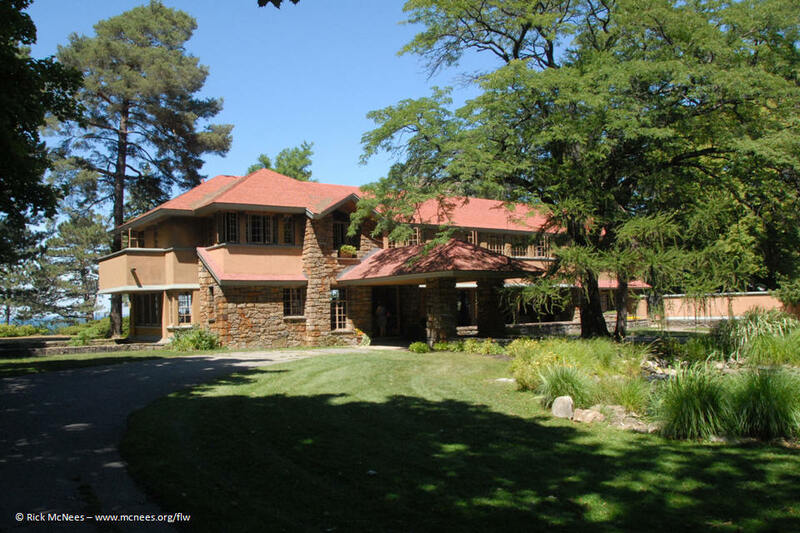 ft. clubhouse on the slopes of Waikapu, Maui. 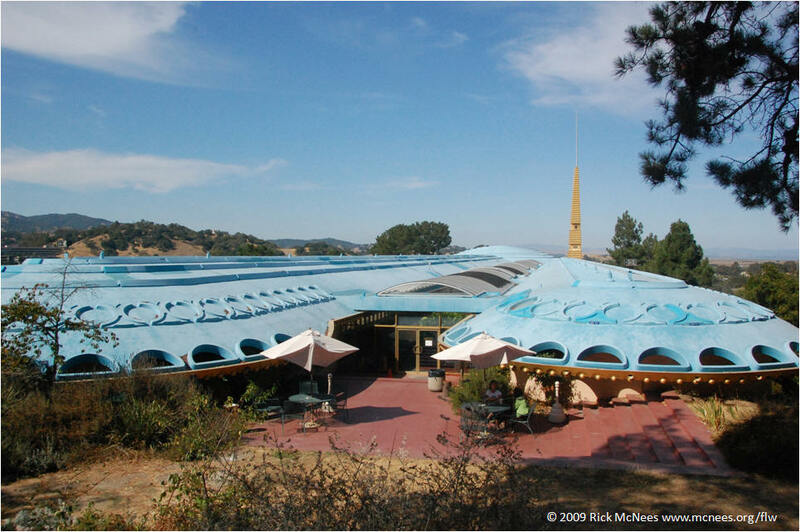 It was completed and opened for business in 1993. 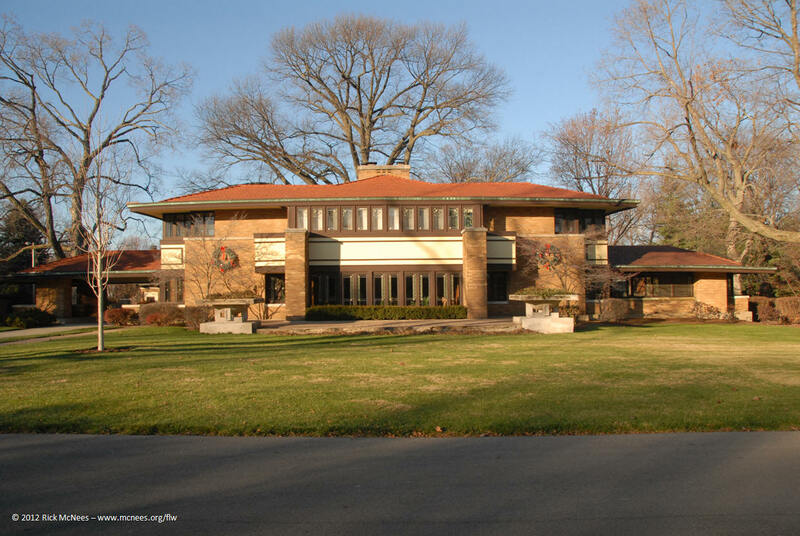 The former owners and operators closed the golf course and clubhouse in 1999, due to the downturn of the economy. 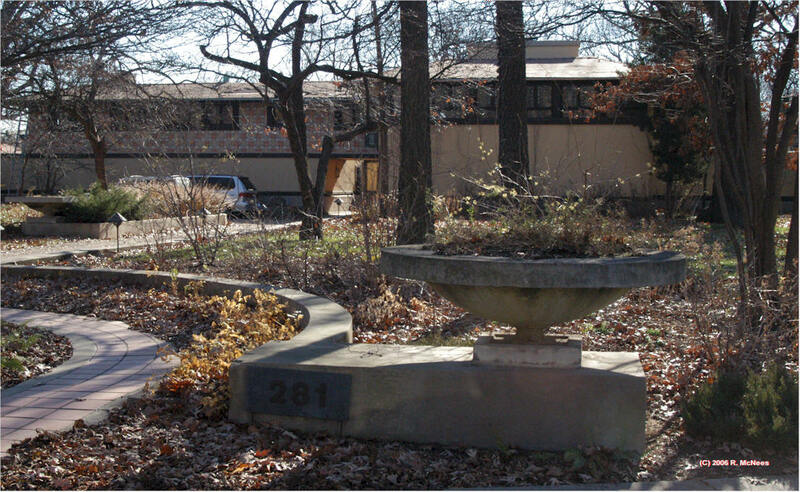 The property was abandoned and neglected for nearly six years, except the large rooms were still used for banquet functions. 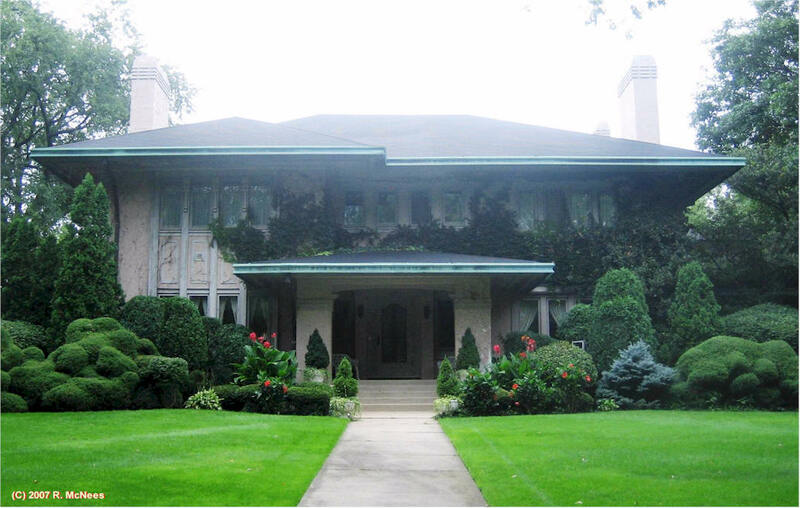 In July 2004, the property was purchased by the current owner. 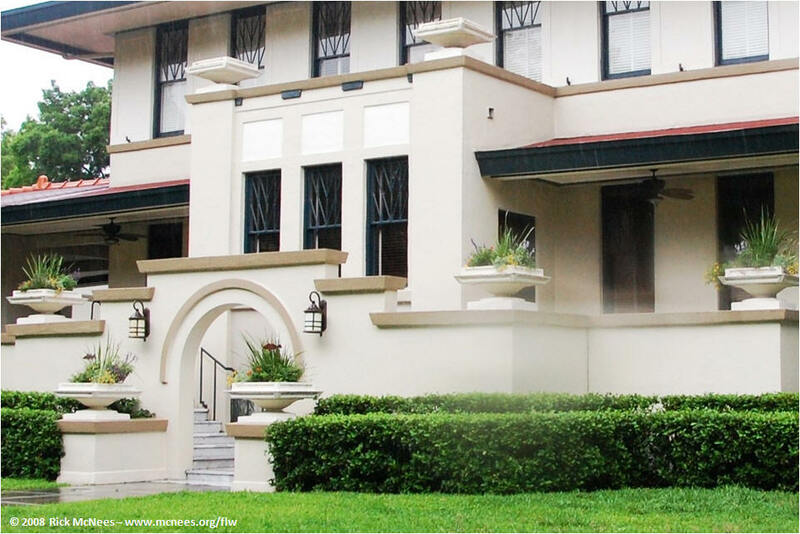 Renovation of the golf course and clubhouse took approximately 18 months before it reopened in May 2006 as Maui's first 18-hole member golf club. 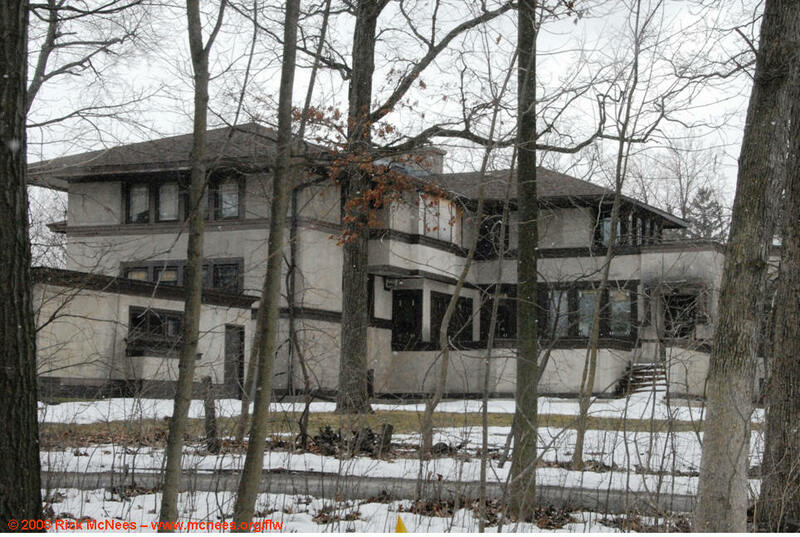 This page lasted updated 12/26/18 .